I recently installed Windows 8 on my laptop. I was open www.java.com and go to downloads. 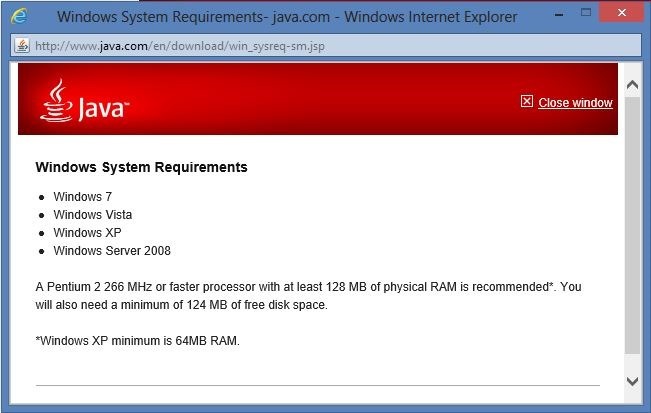 Before download I was check system requirements. And then I was pretty confused. 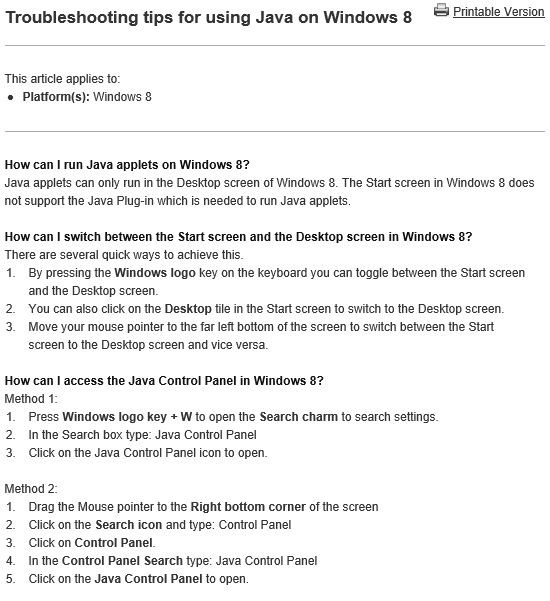 Windows 8 is not listed. 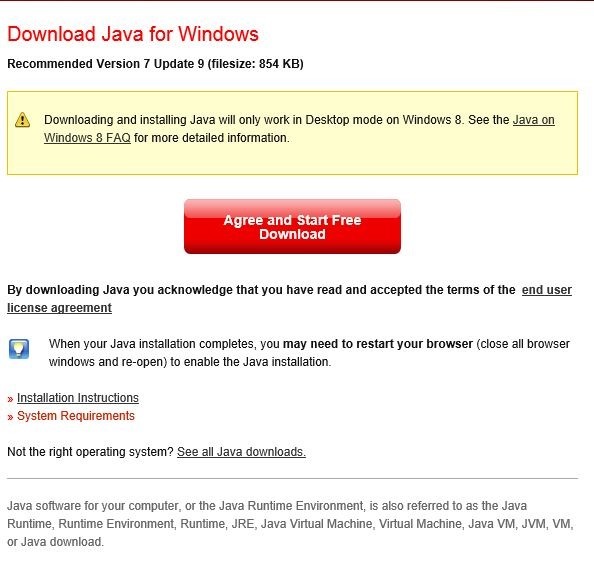 I downloaded and install Java and after that I didn’t receive error message anymore.